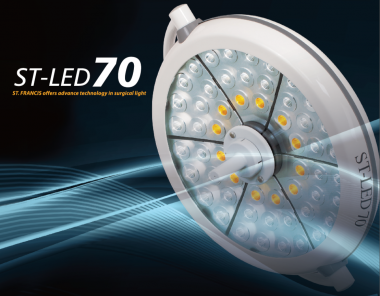 The newest generation of ST-LED 70 series LED operating lamp. 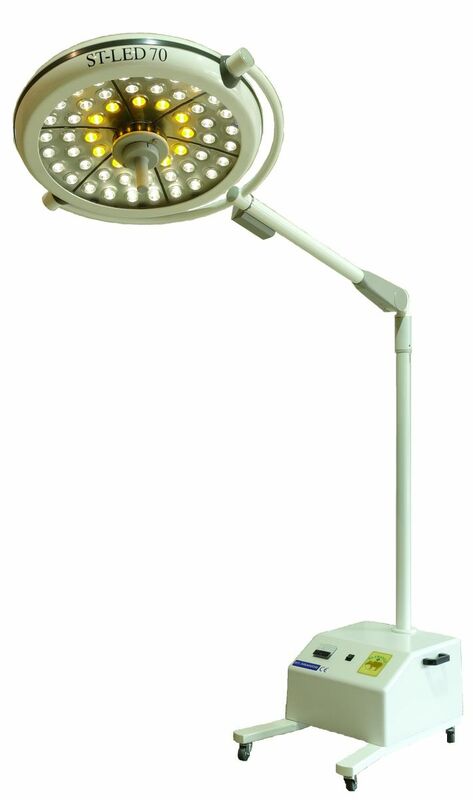 less environment impact is best choice for your surgery teams. 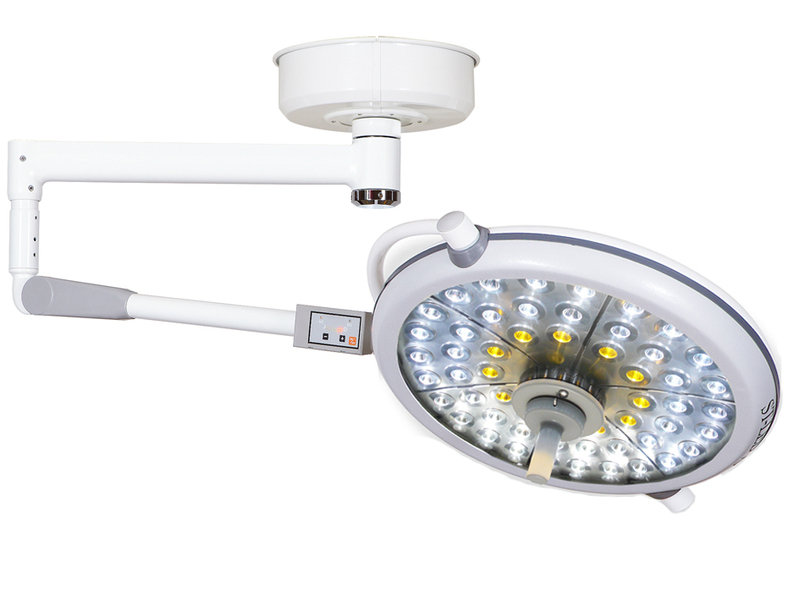 temperature as natural white light and performance colour rendering index ( Ra ) of 95 at surgical area. 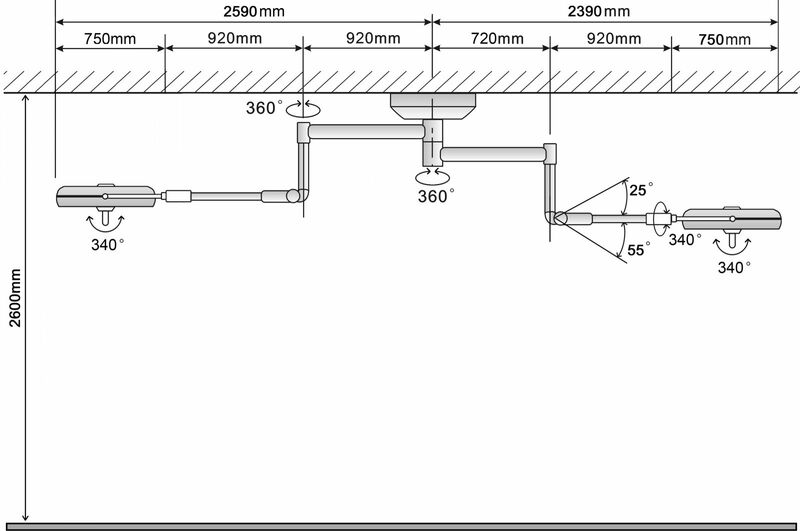 Laminar Air Flow Application : Aerodynamic design light head achieve laminar motion of a fluid on the ceiling of operation room and offer minimize turbulence, reduce bacteria circulate provide fresh and sterile operation environment. head provides perfect shadow control. 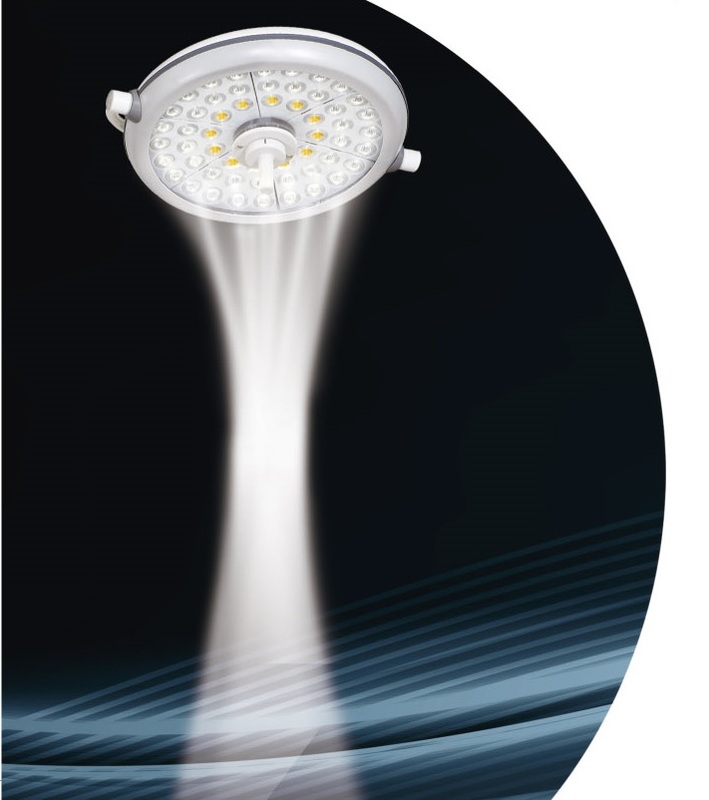 most efficient and economical compared with conventional halogen bulb. 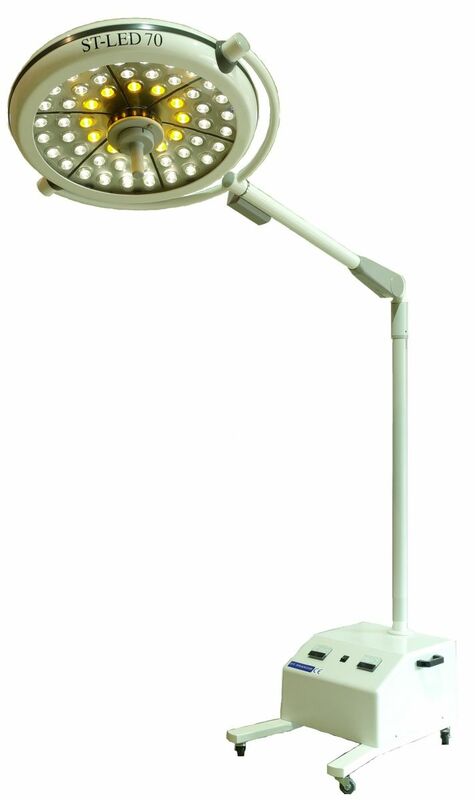 Adjustment of the focus and diameter of light field by sterilizable handle on the centre of lamp head.